Building or renovating your home? Seeking a reliable domestic plumber Griffith? Whether you are building or renovating your home, the whole process can be nothing short of stressful. You need to find the perfect balance between design and functionality, you need to choose fixtures and fittings to suit your space and you need to find reliable tradesmen to bring your concept to life. 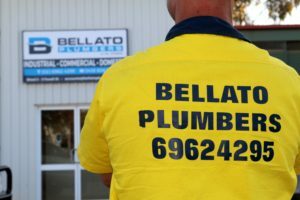 Good plumbing is at the foundation and Bellato Plumbers will work with you to provide well thought through domestic plumbing solutions tailored to your needs and budget. Arrange an obligation free quote. To discuss your project requirements, give us a call today.